Have Sunnis and Shiites in Iraq Always Been at Each Other's Throats? The short answer to the question is: No. But people fall into the trap of thinking that people at war have always been at war. The fact is the overwhelming majority of Iraqis lived as Sunnis until about 200 years ago. The 'age-old passions' trope is such a convenient plot device that people always fall for it. I remember my friends among the Balkanists being upset when it was applied to Bosnia, where people in recent decades had had perfectly amicable relations. The conversion of the southern tribes in Iraq to Shiism may have in part been a rebellion against the Sunni Ottoman state, which tried to tax and control them. But actually part of the process became clear to me in my dissertation work. 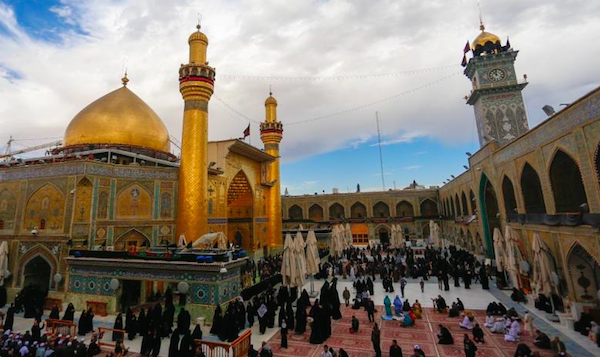 The Shiite shrine cities of Karbala and Najaf are not near water, having been founded because of historical assassinations and tomb visitation rather than economics. Especially in pilgrimage season, there were severe water shortages-- people used to bring water bags on donkey back from the Euphrates and water was expensive. Because of Safavid Iranian Shiite emigration to Mughal India, many Indian provincial governors were originally from Iran and were Shiites. When the Mughal empire declined from the 1740s, these governors emerged as rulers in their own right, in Bengal, Sindh and Oudh. Shiite notable families went on pilgrimage to Najaf and Karbala, and they minded the lack of water. So in the 1830s they negotiated with the Mamluk vassals of the Ottomans to have canals built to the shrine cities, and they paid for them, using the Shiite clergy as intermediaries and overseers. The Indian Canals not only brought water to the shrine cities but the pastoral tribes noticed that you could irrigate off them and bring new land under cultivation, so they settled as farmers. They were near the shrine cities, and the clergy sent out missionaries to convert them. They were attracted by the charisma of the Shiite shrine cities and did convert, and then their cousins elsewhere also joined in, and over the 19th century most of southern Iraq became Shiite by a kind of chain conversion. I found correspondence about all this in manuscript libraries in Lucknow in India.